There are two types of bloggers. One has a never-ending list of blog post ideas but just can’t find the time to write them all. The other wants to write more blog posts but is stuck for ideas. Which type of blogger are you? If you’re the latter, you’re in luck. This post offers you 7 ideas to help you find inspiration for your future blog posts. 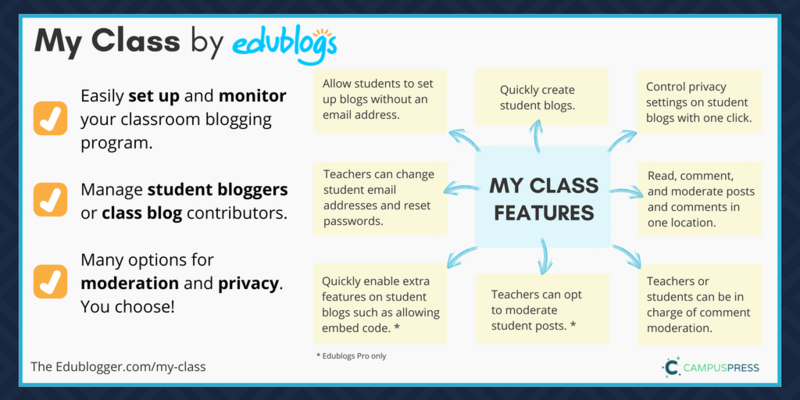 These ideas apply to both student and teacher bloggers. This is a good collection of ideas Kathleen. One thing that I do not see discussed a lot is post formats and the possibilities that this can provide in regards to collecting and curating ideas? Personally, I use post kinds, which is a different flavour, but achieves a similar outcome. While it’s unlikely young people will never experience an issue online, I believe it is a good aim to both minimise potential harm and ensure students feel like they always have someone to talk to. Digital citizenship education is an ongoing process, and the work of one teacher is not enough. Ideally, we need parents, students, educators, community members, and school leaders to unite. Most of all, we need to create a positive culture where students feel empowered to use technology safely and purposefully. 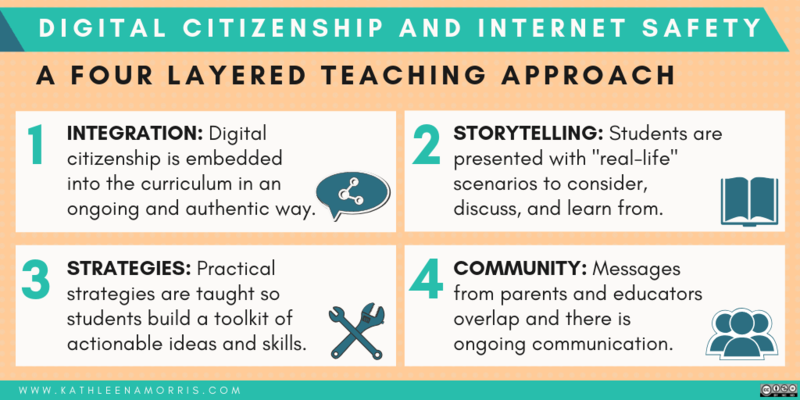 Kathleen Morris outlines her four layered approach to teaching digital citizenship. This focuses on integrating the various skills within the curriculum, providing real world stories to reflect upon, building up student toolkits and developing lines of communication. 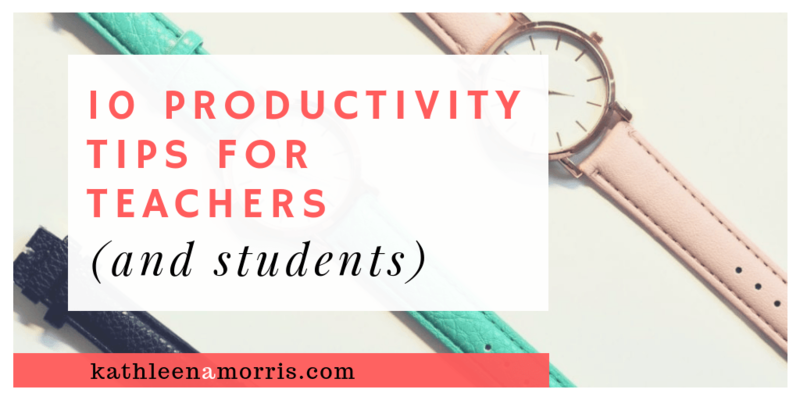 Associated with this, she also provides ten tips for students. So you’ve made it this far and started 2019 with a great start to blogging. How do you keep it going? Here are 12 tips to offer you some inspiration. Different things work for different people and we’d love you to share your own tips in a comment! 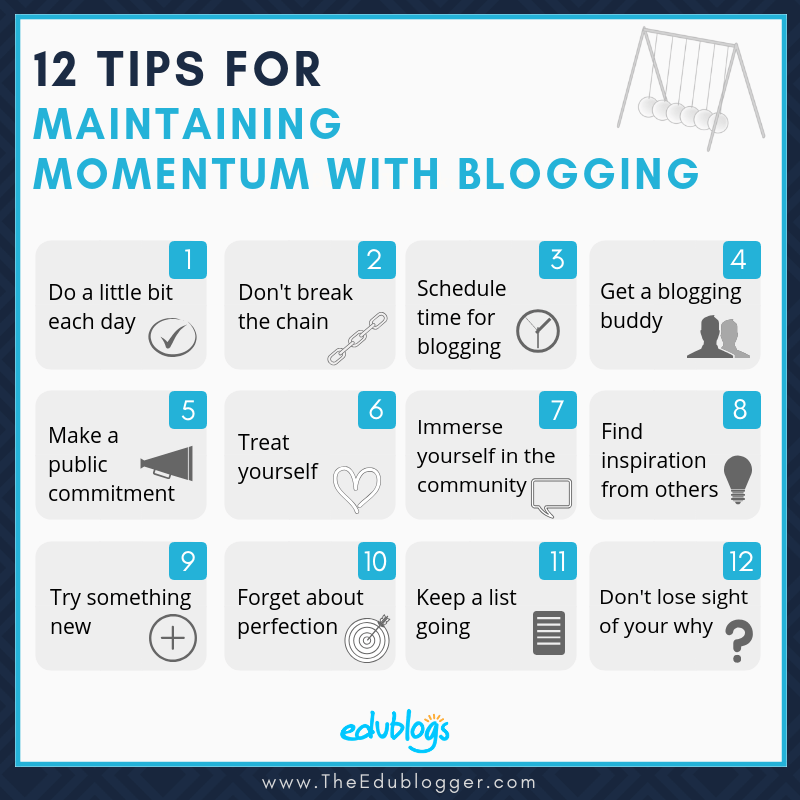 Closing off the 28 day blogging challenge, Kathleen Morris provides a list of strategies for maintaining momentum. On the flip side, Aaron Hogan provides a list of blogging rules that you do not have to follow. These include the idea that blogs need to look a certain way or be perfect. 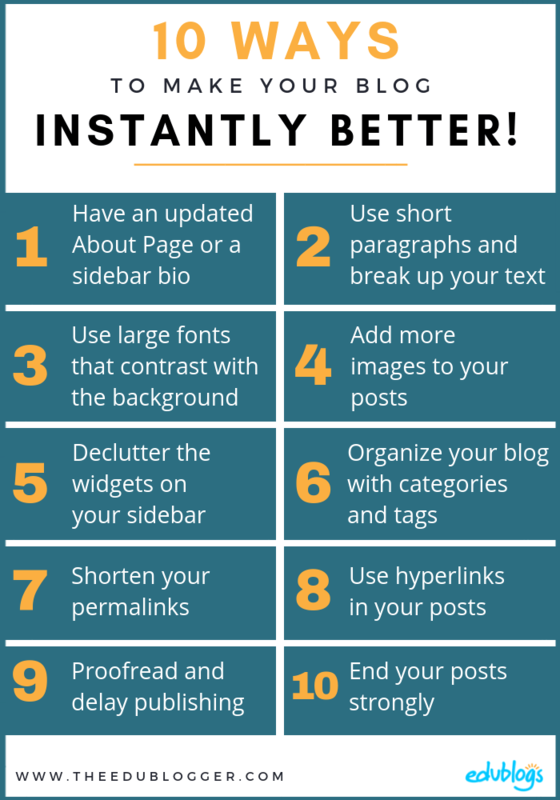 Kathleen Morris unpacks ten strategies for improving your blog, including having an updated about page, organising your posts using tags and categories, use hyperlinks and use images to break-up your writing. Now I know what my problem has been all these years … Colour! If only my principal had allowed me to print in colour I could have made so much more difference. 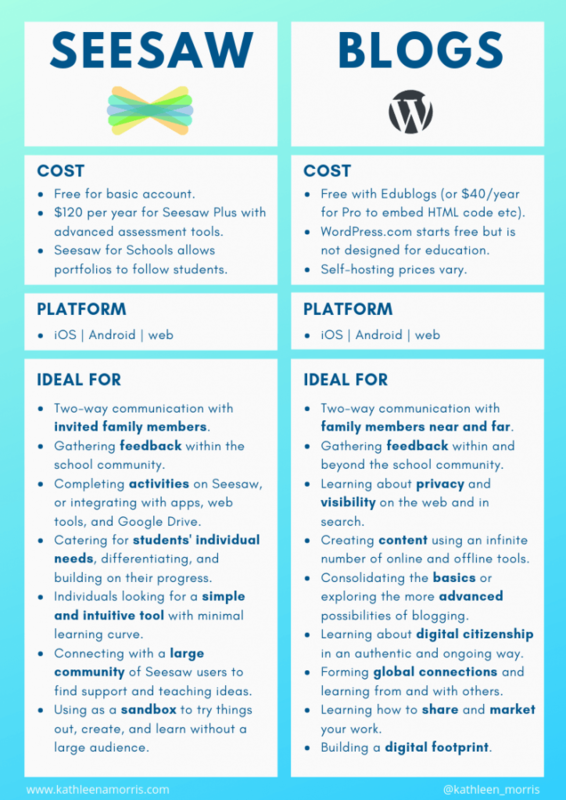 I love My Class in Edublogs and feel that it is often overlooked in light of other platforms, such as SeeSaw. Is the addition of email-less accounts in line with GDPR? I remember discovering the hack to be able to create accounts using ‘+text’ on the end of a Google account. The only issue is that this can sometimes contriven the local policy in place. For example, Global2 requires students to sign up with their school email. August 7, 2018 Kind ReplyTags Blogging, Classroom Blogging, Kathleen MorrisLeave a response on 💬 My Class: Student Blogging Made Easy!